You would never think so, but this is a lovely tasting green smoothie! Yes, I said green smoothie, people! Made with spinach, spirulina and wheatgrass, this smoothie couldn’t get more green! Thanks to the addition of the cranberries and oranges, our green smoothie is transformed into one with a lovely purple/red hue, and the flavor combos are quite delightful! 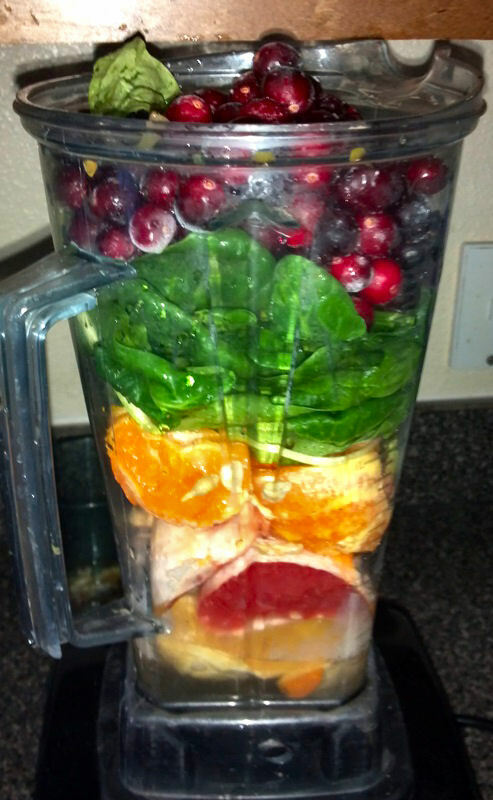 Blend everything together on high until the smoothie is fully blended and creamy. 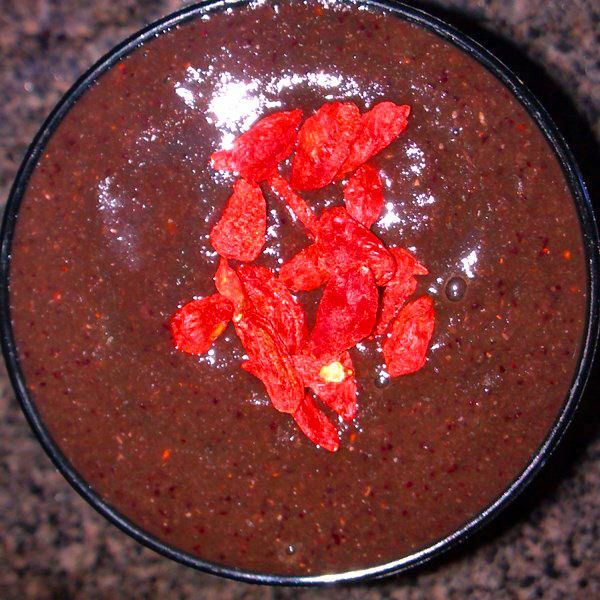 Pour into a glass, top with gogi berries and drink up! Note: You can also substitute the grapefruit, oranges and tangerines for just one fruit, though I would recommend all orange or all tangerine if you are going to go mono on the citrus fruits!